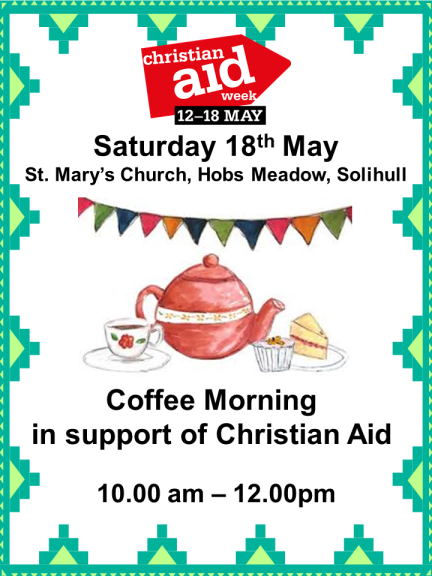 Come along and join us at St. Mary’s Hobs Moat for our Coffee Morning in support of Christian Aid on Saturday 18th May between 10.00 am – 12.00 pm. As well as the chance to have a cuppa and a chat with friends, there will also be the opportunity to buy cakes, jams, books and bric-a-brac, and also give you the chance to have a look around our lovely church. We look forward to seeing you.